During the 2019 baseball season, Korey Holland won’t be an option in UT’s outfield. MLB.com’s Jim Callis reported on Tuesday that Holland had agreed to sign with the Cleveland Indians. Holland, a high school outfielder who received a signing bonus of $515,000, was drafted by the Indians in the 14th round of last month’s draft. One of three UT signees to be drafted, Holland joins Mets-selected pitcher Simeon Woods-Richardson in the minor leagues. The losses of Holland and Woods-Richardson trims UT’s 2018 recruiting class to 14 players. Cypress Ranch pitcher Ty Madden will have until July 6 to decide between attending Texas or signing with Kansas City. Madden was drafted in the 34th round. 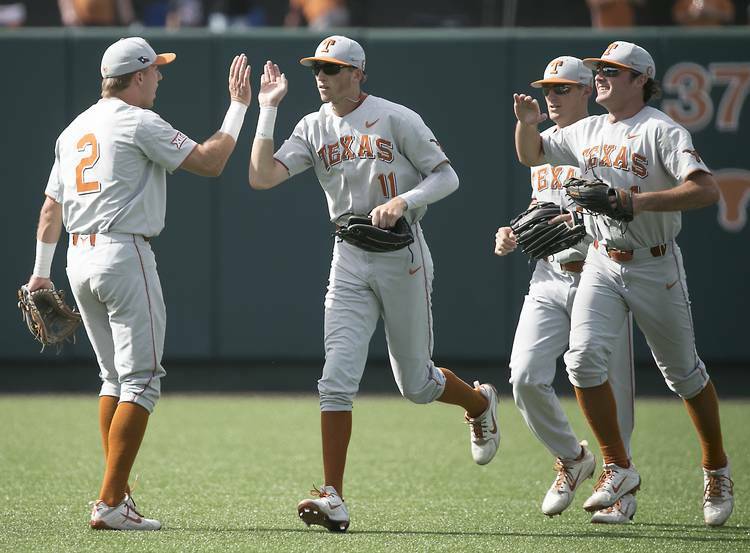 Despite Holland’s departure, UT’s outfield will remain well-stocked. Expected returnees Masen Hibbeler, Tate Shaw and Duke Ellis were the team’s starters at the end of the season. Rising junior Austin Todd also made 20 starts during an injury-plagued season.